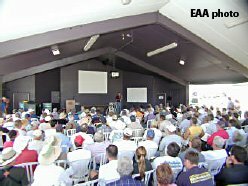 It was not that the presentation on my Welcome Sky Aviation Scholarship Program wasn’t interesting, but it was scheduled in the afternoon at the same time of the world-famous Oshkosh Airshow. 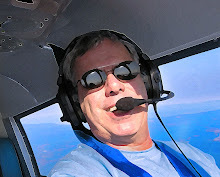 I’m really sure why they bother scheduling forums at the same time that Patty Wagstaff is rocking everyone’s world at show center, but this year, things will be different because I’m slated to give my forum “Correcting Aviation History’s Biggest Malfunction” in the Sporty’s Pavilion on Sunday, July 30, 8:30 – 9:45 a.m. This means I’ll only have to compete with bratwurst breakfast burritos in order to fill the seats. This forum will highlight my six-year crusade to educate the world about Jerrie Mock, the first woman to fly solo around the world. Mock made this mammoth journey in 1964 aboard the Spirit of Columbus, a box-stock Cessna 180, and then upon returning to Port Columbus Airport in Ohio, basically fell of the face of the Earth, historically speaking. Today, virtually nobody knows she made this flight, which should be considered to be in the same league as Lindbergh’s Atlantic crossing…and certainly must be considered to be a more significant feat than Earhart’s fateful world flight attempt in 1937, since Mock actually completed the mission. If you happen to be wandering aimlessly around Wittman Regional Airport on the morning of 30 July this summer, stop by and pull up a chair. I’ll promise to make it well worth your time.